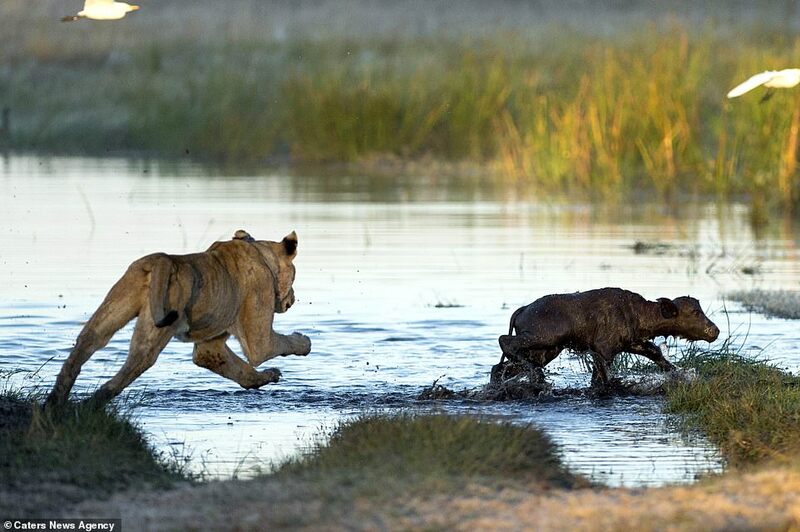 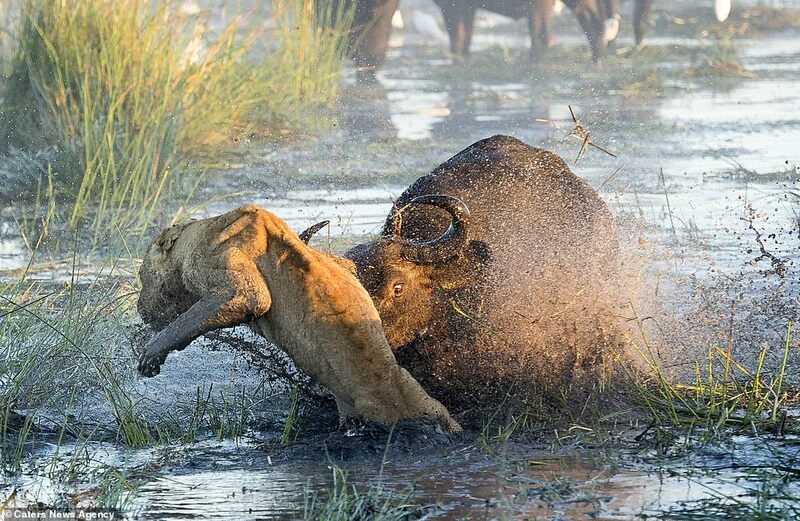 A buffalo calf almost became lunch for a lioness – until his protective parents saved the day. 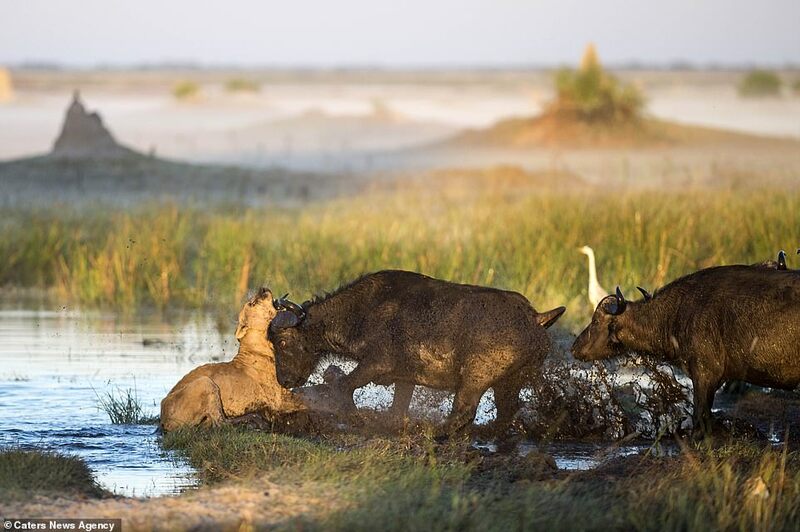 Veterinary surgeon Ben Cranke, 54, captured these incredible images of the battle between the big cat and a herd of buffalo in Botswana in southern Africa. 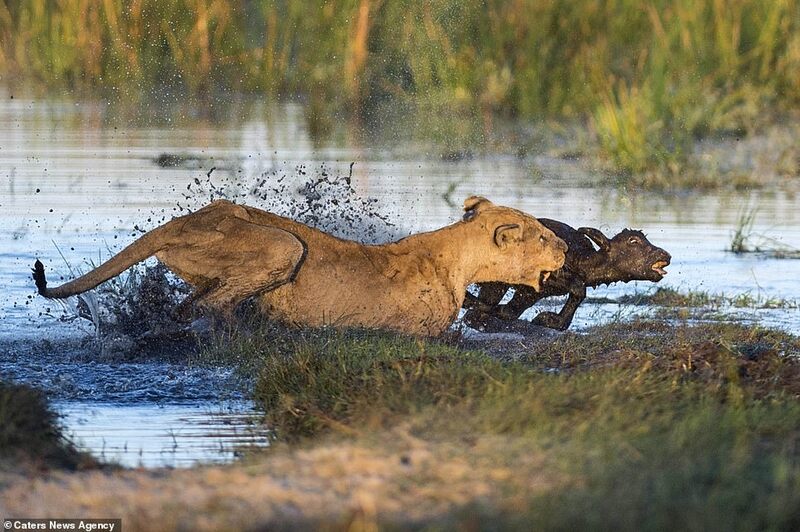 In the photo sequence, the lioness lunges at the young calf and nearly has the baby animal in her claws before his protective parents charge the big cat – although the lioness didn’t leave without putting up a fight. 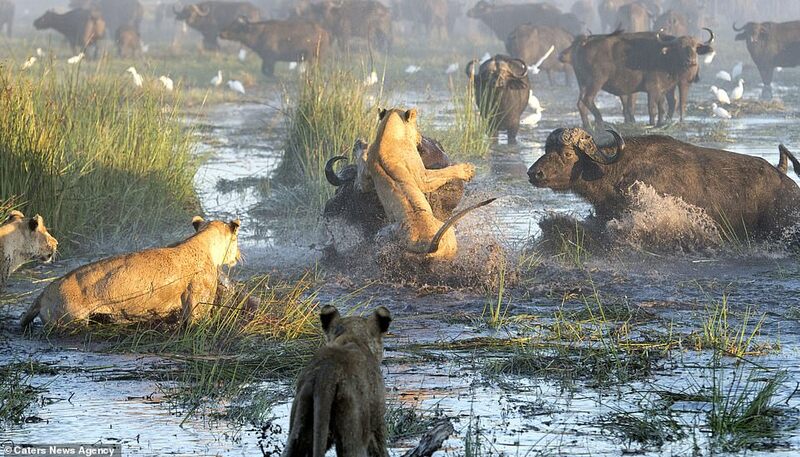 Later shots show the herd of buffalo going head-to-head with the pride of lions in the water. 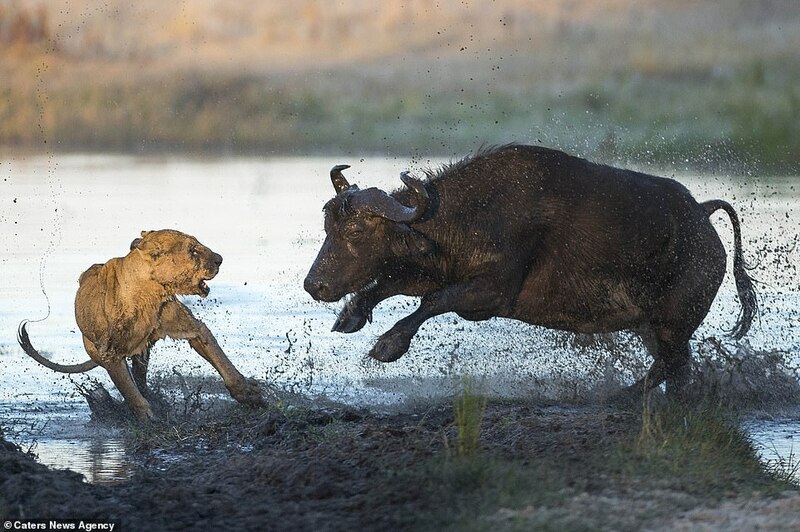 Mr Cranke, who was on a photographic safari, said: ‘An elderly 18-year-old lioness lead the hunt but failed to catch the young calf and got butted by an older buffalo.